RMD - car, s.r.o. initially specialized in Scandinavian region and in providing full and partial shipments. Theese basic services were later extended to include the provision of ferries and the transport of parcels to this part of Europe. The growth of the company and the growing interest of shipping companies in transport from Italy, Austria and the Benelux countries has prompted the expansion of the RMD-Car forwarding activities to other European countries. RMD-car staff have extensive experience in transportation and related services. Their interest is to ensure that each consignment arrives at the destination in time and in a good condition and that the customer always has up-to-date information on the progress of its shipment. Each member of the team is able to communicate with clients in at least one world language (English or German), everyone can flexibly respond to all business requirements and address various (and unexpected) situations. The company consists of a small but flexible team which is proud of its good results and a stable excellent reputation among domestic and foreign partners. All employees are available daily on their telephone numbers or on their mobile phones any time, regardless of working hours. 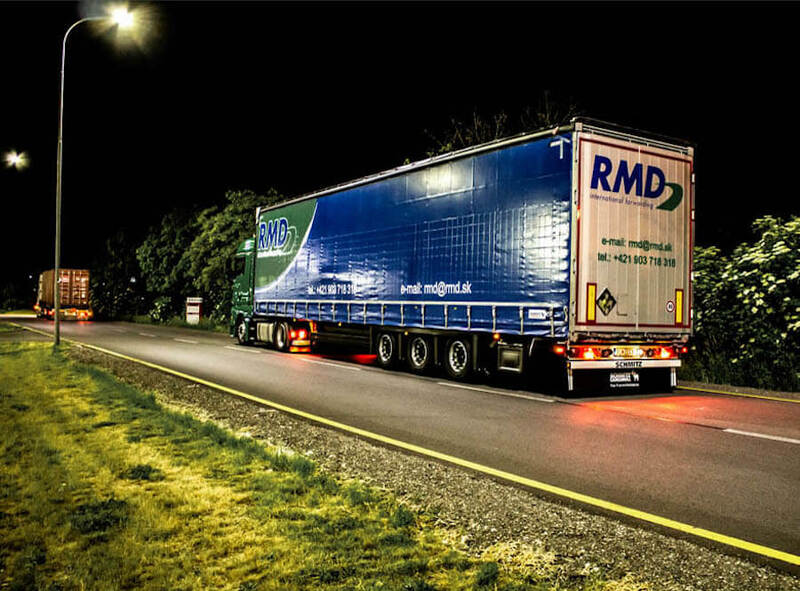 RMD-car operates in accordance with the General Shipping Terms issued by the Union of Shippers of Slovakia and is insured. Reliability, high-level work ethic and smooth information flows – all of these are the strengths of RMD-car, s.r.o. RMD-car, s.r.o. specializes in the Scandinavian region and in providing full and partial shipments, as well as in providing ferries and transport of parcels to this part of Europe.